Learn about Australian made Aboriginal Art, Clothing, Fabric, Designs and the Dreamtime Stories of Aboriginal Artists on the Bulurru Australia Blog. We love nothing more than receiving personal stories from our customers. Yesterday, DONNA HOLLAND sent us this lovely email with her photo attached. "I have just received this beautiful scarf from my son Mark and his partner Mike. I am having chemotherapy treatment and am delighted with my gift." 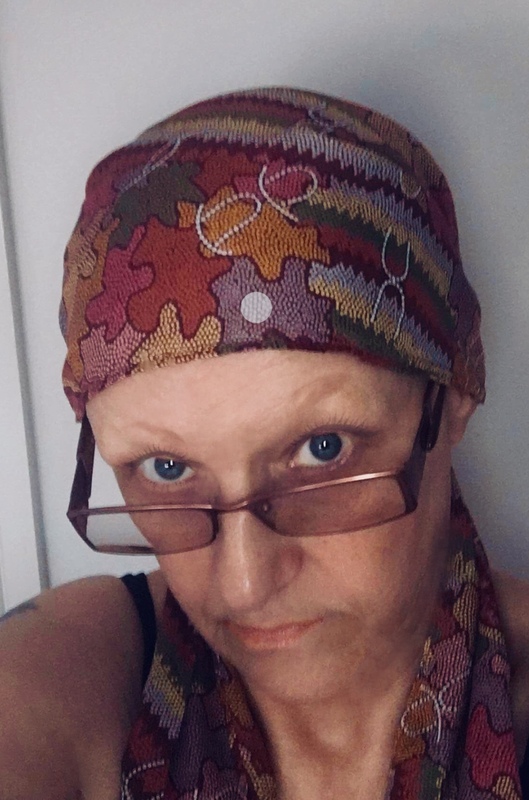 We would like to thank Donna for sharing her story with us and allowing us to publish it on our blog. And we wish Donna all the best for her treatment. It means a lot that our scarf helps brighten up her spirit!